The Avaloq Banking Suite consists of a fully integrated, modular banking solution that includes back, middle and front office functionalities. The suite has been successfully run in some of the most demanding financial centers in the world and is regarded as a Leader by Gartner’s Magic Quadrant within the field of International Retail Core Banking. Avaloq is rapidly expanding worldwide. The Avaloq Banking Suite is packaged in different modules to provide dedicated business applications to the International Retail Core Banking sector. Since all of our customers are different, the suite offers customizable modules to reflect individual customer requirements and needs. Customization and seamless end-to-end integration into each customer’s system landscapes, generates significant testing efforts. 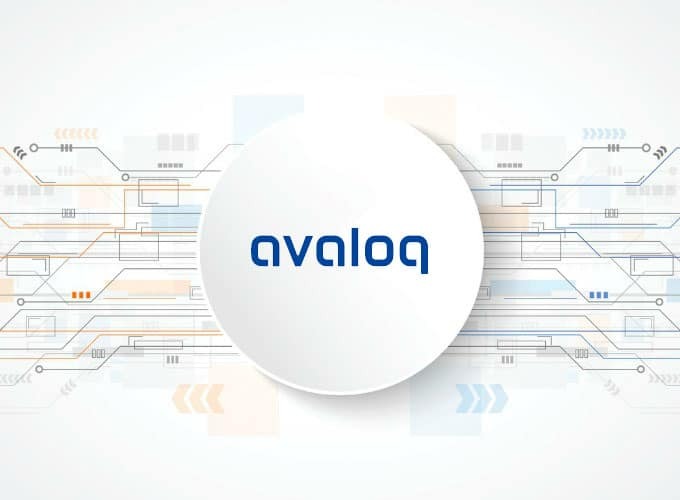 Avaloq is a core banking system which plays a central role for any customer’s IT environment. Testing must provide a clear and comprehensive picture regarding the associated risk of any system go-live. All risks related to each module and functionality must be known. Based upon various customer projects and benchmarking practices, Tricentis has developed a structured template of modules and functions that evaluate typical risks customers are likely to encounter in a project. This template is easily adopted by customers who are able to quickly assess business risks even before testing begins. Tosca’s unique Test Case Design allows customers to easily create Test Cases and organize Test Cases to help streamline the testing process and optimize expected risk coverage. The banking sector has a wide range of customer types (ie. private persons, joint accounts, institutional clients, etc.) from different countries that also have individual products and fees. Without this data, the system’s business logic cannot be fully covered by tests, leading to a large amount of manual effort in test data preparation and provisioning. Manual testers within the banking sector generally spend up to 70% of their time on this topic. TAMI is an extension to Tricentis Tosca and has been developed to solve the test data issue in Avaloq testing. The structure of test data objects is read from Avaloq’s meta data repository and reflects the customer specific Avaloq parametrization. After having designed concrete test data in Tosca, the data records can be synthesized in Avaloq and registered in Tosca’s Test Data Management (TDM), which keeps track of the data’s status changes during the test execution. Customers achieve automation rates greater than 90% with Tricentis’ Model-Based Automation. Tricentis has developed an extension to the Tosca product line called TACC. TACC is able to extract information from the Avaloq meta data repository, then create and display the Tosca modules, in preparation for immediate test automation.